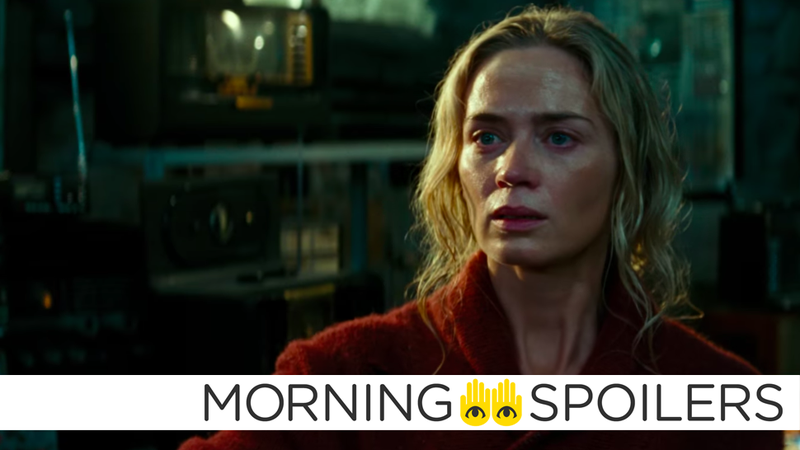 Emily Blunt could have a new potential ally in A Quiet Place 2. New pictures from the set of Birds of Prey reveal scenes of Harley out on her own and picking up a waitressing job after seemingly being dumped by The Joker—whether that’s actually Jared Leto as the clown prince of crime in the picture or merely a stand-in remains to be seen. Good news—Screen Rant reports Netflix has officially renewed Umbrella Academy for a second season. The government comes for Supergirl in the trailer for “Crime & Punishment,” airing April 21. A geriatric vampire spirits children off to “Christmasland” in the latest trailer for AMC’s NOS4A2 premiering Sunday, June 2. Finally, AMC has released a new promo for Fear the Walking Dead’s fifth season, premiering Sunday, June 2.